Of the few rides offered for public auction at the former Geauga Lake, some that sold ended up being sold for the scrap metal value. And why would you think a company admittedly short on cash would NOT reuse other rides relocated from the park, if there are any, in the future? I read somewhere that The Beach Waterpark bought two slides from the former Wyandot Lake... for only 100 dollars! Unless Six Flags wants to sell a few of SFKK's new(er) rides, I doubt they'll be able to make much of a profit. And I haven`t been to The Beach in more than a decade. But to my recollection, the water slides that The Beach bought have yet to be installed. Correct me if I`m wrong on that one. ^If I remember correctly, I think I saw them on one of my visits, near the the gravel section of the parking lot. If SFKK did close, I think Greezed Lightnin could be a good fit at Coney Island....Not to much, yet thrilling. A classic a great ride. ^Move a near 40 year old shuttle loop? 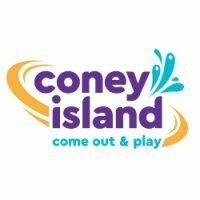 If Coney Island will buy it I think it's almost certain Six Flags would hand it over. The ride cost itself would be dwarfed by the costs of installation...and there would be some interesting ADA issues that have prevented the moving of similar rides in recent years. Accommodating the disabled on those older rides like those is neither easy nor inexpensive. An elevator would almost certainly be required. I highly doubt that Coney would even be interested in one of those old Arrow shuttle loops. Besides the ADA issues, those rides are really outdated. Now, I could see Greased Lightnin` being a good ride for Coney, because of the launch out of the station. However, I do not foresee Coney getting a ride like that anytime soon. Too cost prohibitive, and doesn`t exactly fit the Coney target market. I was working in HR during the 2006 season when the Beach purchased an old log flume. Ralph Vilardo retrieved the salvaged remains and expressed what a pain it was to arrange the transportation and delivery of the items. As of 2008, the majority of the purchase (have no idea if the slides were included as part of the flume purchase) were being stored at the far back corner of the main parking lot (just passed the gravel). I walked out there one night with another HR worker and we pondered how much it was going to cost them to renovate the flume and where exactly they planned on placing it in the park. I haven't spent much time at the Beach in recent years, so I have no idea if the items are still in that location - or even on site, for that matter. Thanks for that info! Actually, I already knew The Beach bought two Slides from Wyandot Lake, but a log flume? I would love the beach to install one, but I've never seen any pictures of log flume pieces, and (correct me if I'm wrong) I don't believe Wyandot Lake ever had a log flume. Also, I've read a few news articles about the water slides, but have heard nothing of a log flume. Still a Log Flume, maybe in the woods behind the Hidden Rapids would be a great addition to an already great water park! 2010 - New Slide or Mini Golf - Rumor - (5/16/09) Looks like The Beach decided to building nothing for the 2009 season, so these projects could come up again for 2010. (1/19/09) While The Beach may have purchased the old Jet Stream waterslide from Wyandot Lake some time ago, it seems the waterpark has just not been ready to put it up yet. According to our source the park is looking at two options this season as they try to second-guess what the economy will do, and will either build a new mini golf course for the 2009 season, or put up the money to finally install the Jet Stream. They’ll have to choose soon though, since there isn’t much time left. Will the beach be around in 5 years Really, Kings Island and great wolf have far better slide time attractions,and parks, its just one mans opinion?? But the beach has a great holiday program for sure! Having gone to both The Beach and Boomerang Bay, I probably will never go to Boomerang Bay again. The Beach has a number of very good slides, including my favorite of all time, Hidden Rapids, which, as far as I'm aware, is a type of slide no longer produced. They have Aztec Adventure, a slide with quite a bit of air time and a very surprising and scary finale. They have The Cliff, a very steep and speedy slide. Bonzai, a racing slide better than BBs. They also have quite a few "family" slides, that are quite thrilling. The Beach is overall a much better park, but 3 things really stand out for me. 1. Slide Variety is much better. You pointed them out yourself: Hidden Rapids, Aztec Adventure, but Bonzai I really hate. You're going so fast and not allowed to wear goggles, you have to close your eyes to keep from getting KO'd, and when you hit the water it hurts. I adore Snake River Falls though! 2. Forested area. You can choose a concrete jungle, or a place like the beach, where most of the slides are barely visible from the paths. 3. Constant Reggae music playing. Gotta appreciate a waterpark that plays Bob Marley and not the Beach Boys!